Dimensions 1 by 7 by 8.50 in. 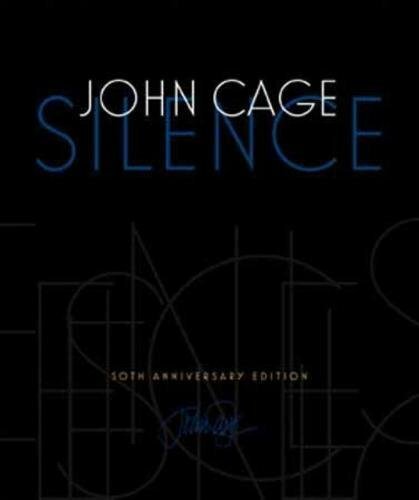 Amazon.com description: Product Description: Silence, John Cageâs first book and epic masterpiece, was published in October 1961. In these lectures, scores, and writings, Cage tries, as he says, to find a way of writing that comes from ideas, is not about them, but that produces them. Often these writings include mesostics and essays created by subjecting the work of other writers to chance procedures using the I Ching. Fifty years later comes a beautiful new edition with a foreword by eminent music critic Kyle Gann. A landmark book in American arts and culture, Silence has been translated into more than forty languages and has sold over half a million copies worldwide. Wesleyan University Press is proud to celebrate the fiftieth anniversary of the bookâs publication with this special edition. About: Silence, John Cage’s first book and epic masterpiece, was published in October 1961. About: John Cage is the outstanding composer of avant-garde music today.